Description: CD Cover Feels Like Today signed by complete band in silver sharpie pen. CD not included. 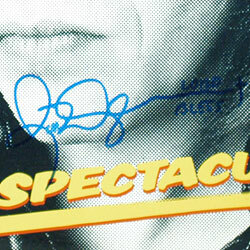 Note: Item signed by complete band while on their 2008 US tour at Smirnoff Center in Dallas, TX. 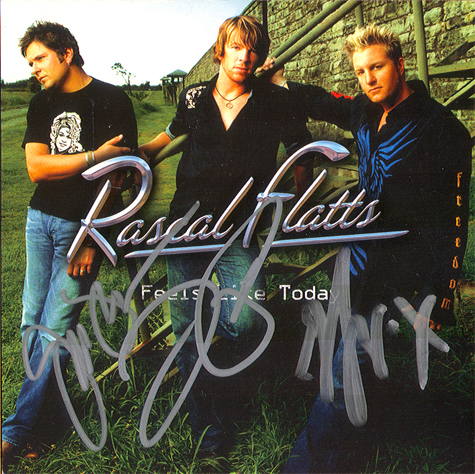 Singed by: Jay DeMarcus, Gary LeVox and Joe Don Rooney. Description: Rock Spectacular Laser Disc. 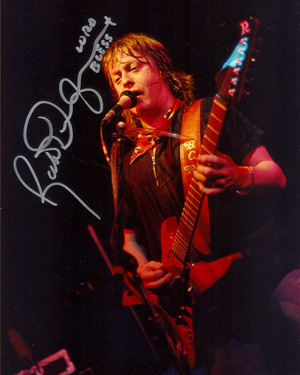 Signed by Rick Derringer in blue sharpie pen. Note: Item signed at the 2005 Dallas Guitar Show Market Hall in Dallas, TX. Description: 1986 Color Concert Photo. 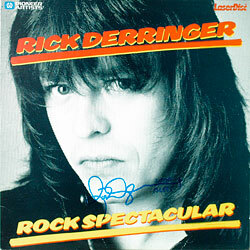 Signed by Rick Derringer in silver sharpie pen. Note: Item signedat the 2010 Dallas Guitar show in Dallas, TX. 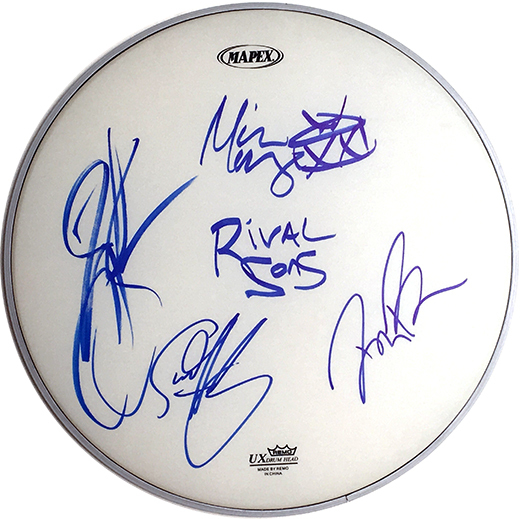 Description: Rival Sons Complete Band Band Mapex Drumhead. Signed by Jay Buchanan, Scott Holiday, Mike Miley, Dave Beste in blue sharpie pen. Note: Item signed by the bus at Trees opening night of their 2019 US Tour in Dallas, TX. Description: Long Misty Days LP. 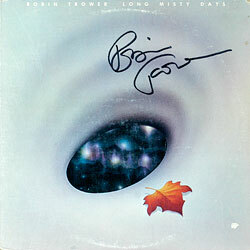 Signed by Robin Trower in black sharpie pen. 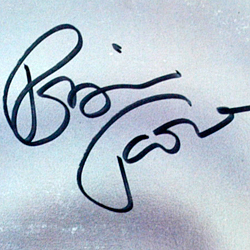 Note: Item signed on Robin's 1985 US tour at the Arcadia Theater in Dallas, TX. 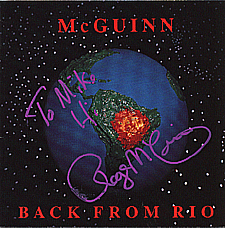 Description: Back From Rio CD signed by Roger McQuinn in pink paint pen. Personalized to Mike. Note: Item signed on Roger McQuinn's 1989 US tour at the Marriott Hotel in Dallas, TX. Description: 11x14 double archival matted 8x10 Country Music magazine cover. Signed by Randy Travis in black sharpie pen. 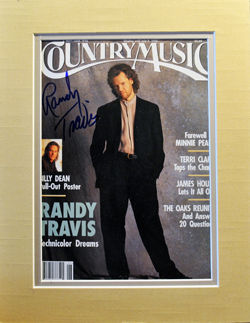 Note: Item signed on Randy Travis 1991 US tour at the Straplex Amphitheater in Dallas, TX. 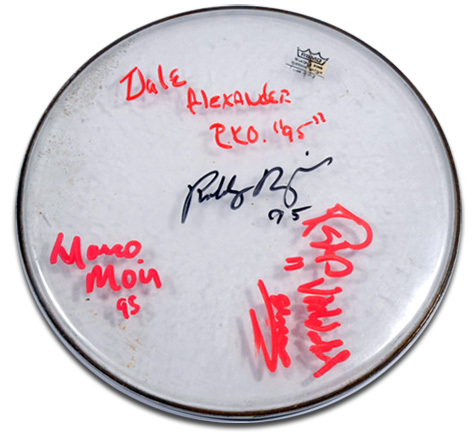 Description: 14" Remo Drum Head Signed by Robby Krieger and tour band. Signed in red and black paint pens. Note: Item signed inside Trees, Dallas, TX after the show by Robby and his band while at a special event show in 1995. 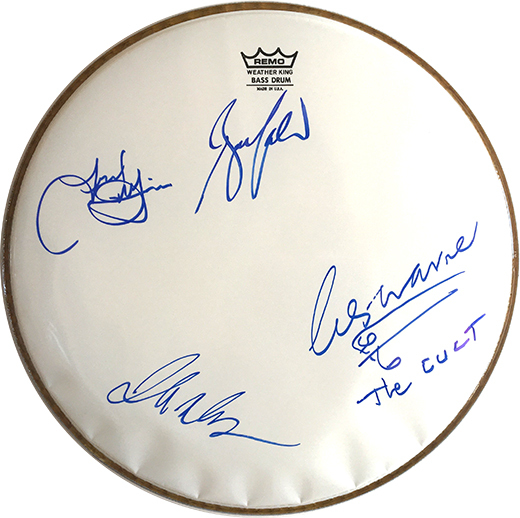 Description: 20" Remo Weather King Drum Head Signed Clockwise by Bruce Kulick of KISS, Les Warner of The Cult, John Moyer of Disturbd and Frank DiMino of Angel in blue sharpie pen. Note: Item signed at the House of Blues in Dallas, TX at the Rock Fantasy Camp 2015. 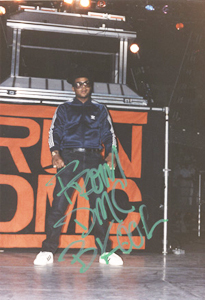 Description: 4x6 original 1986 Run DMC photo signed by DMC in green paint pen. 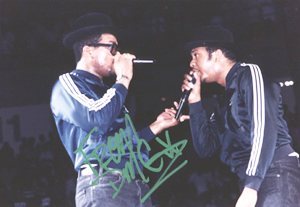 Note: Item signed on Run DMC's 1990 US tour at Reunion Arena in Dallas, TX.